Spoiled Rotten Photography is a little different than most “school picture” companies. We’re parents just like you. We understand that you love having the freedom to choose, so we designed our build-your-own packages for maximum flexibility! We want you to love every image, so we will happily retouch them… at no extra charge! If you have specific retouching requests… please let us know in the comments when checking out. 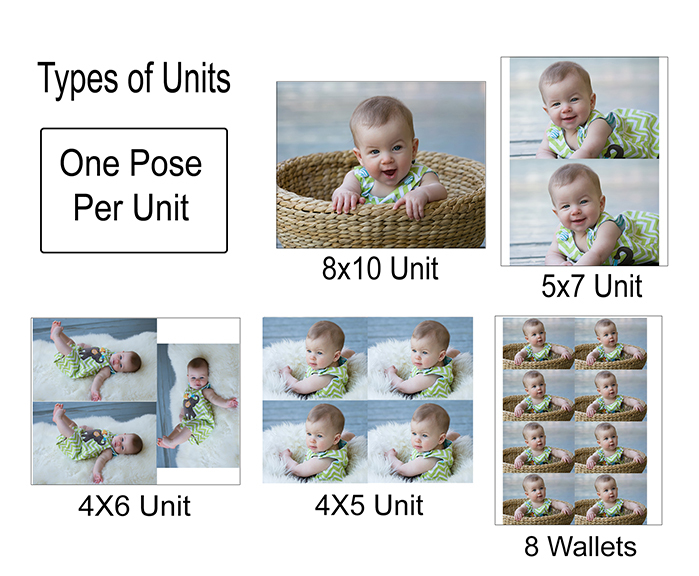 Each unit or sheet will include (1) 8×10, (2) 5×7’s, (3) 4×6’s, (4) 4×5’s, or (8) wallet-sized images. If you order a 5 unit package, you can select up to 5 DIFFERENT poses and up to 5 DIFFERENT unit types! Typical proof sets have 10-15 images. Units start at $25 Packages feature increasing discounts – the more you order, the better the discount! web files – download images with our logo on them to share on the web. These files are for sharing on the web and not for printing. Custom sessions and senior portraits are available, buy may vary slightly in price from one photographer to the next. Please email your photographer for details. We hope you found our pricing page helpful! Please let us know if you have questions! We love to hear from our clients!